SINGAPORE - With National Day just around the corner, the excitement and enthusiasm has been building up, but perhaps in some places more than others. 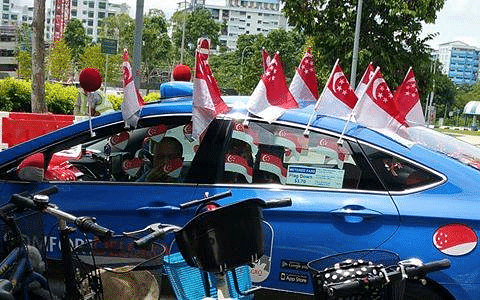 Some clothing brands have released collections dedicated specially to SG51, and taxi drivers have shown their love for the country by embellishing their vehicles with just a tad too many Singapore flags. Here is a look at some places that are taking the National Day fervour to another level. Some clothing brands in Singapore have come up with special collections of clothes designed especially for Singapore's 51st birthday. Giordano's collection of Polo Tee's dominated the entire store as the brand created a striking display dedicated to National Day. 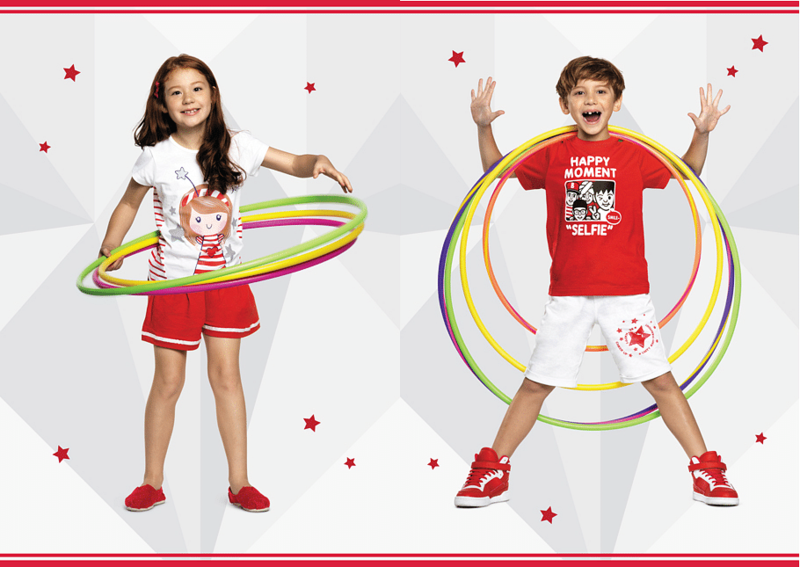 Bossini's festive NDP collection even features a T-shirt saying "Happy Moment. Selfie." Denizen's collection for SG51 shows off 16 graphic T-shirt designs, some of which feature local dishes such as laksa and chicken rice, and local phrases like "Alamak" and "Wah Lau". 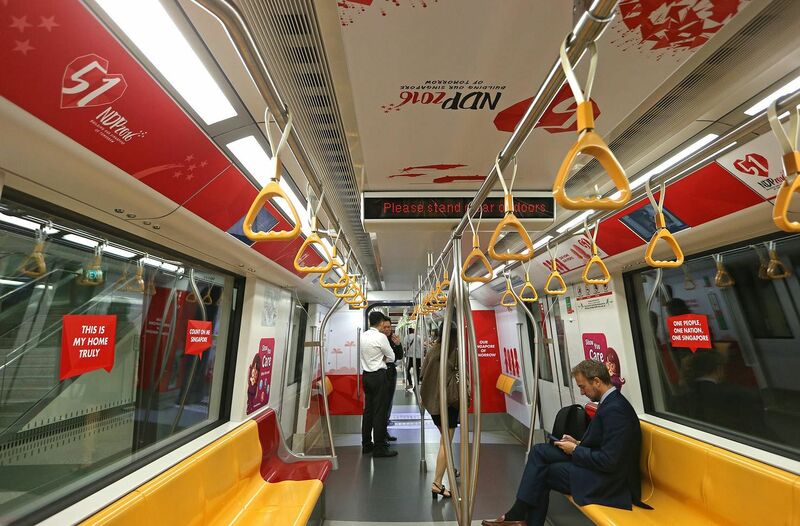 Even your daily ride to work will include some Singapore spirit with NDP themed trains on the North East Line and Downtown Line. The Land Transport Authority and public transport operators SBS Transit and SMRT put up the decorations in July to get commuters in the National Day spirit, and will keep them until mid-August. This driver made sure not to leave a spot empty on his blue Comfort taxi, which is well covered with Singapore flags. Look closely and you'll see he didn't even miss the fuel cap. 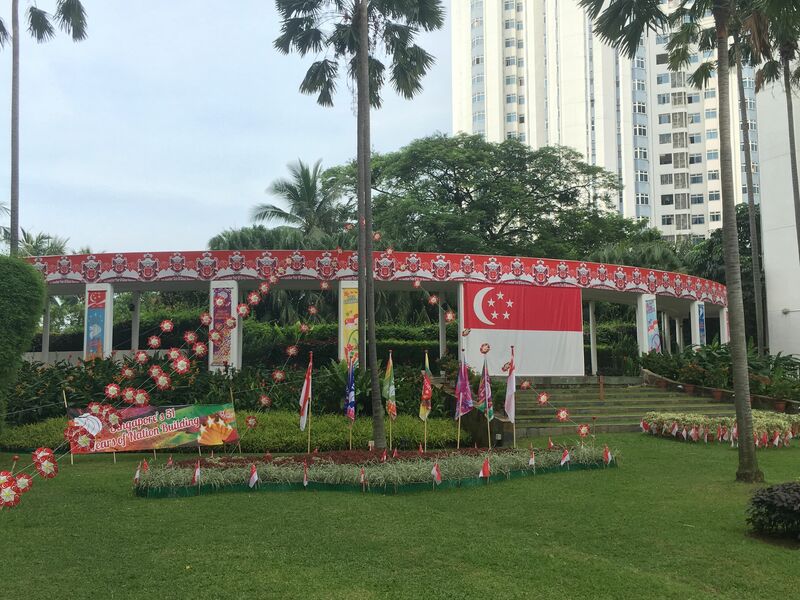 A giant Singapore flag, signs and banners adorn the main entrance of this condominium, with plants strategically arranged to form the Singapore flag and the number 51 that can be seen from an aerial view. No wonder the National Day display at The Waterside condominium on Tanjong Rhu Road won first place in this year's Annual Mountbatten MCST National Day Decoration Competition. The condo is already a winner thanks to its proximity to the Sports Hub which will be aglow with fireworks on the big day. StarHub launched a video of 51 mothers singing Singapore's national anthem, Majulah Singapura. The video reflects this year's National Day theme of "Building our Singapore of tomorrow", and is designed to give you goosebumps as it ends with these words on screen: "Because it's never been about where we're from. It's about where we're going together." 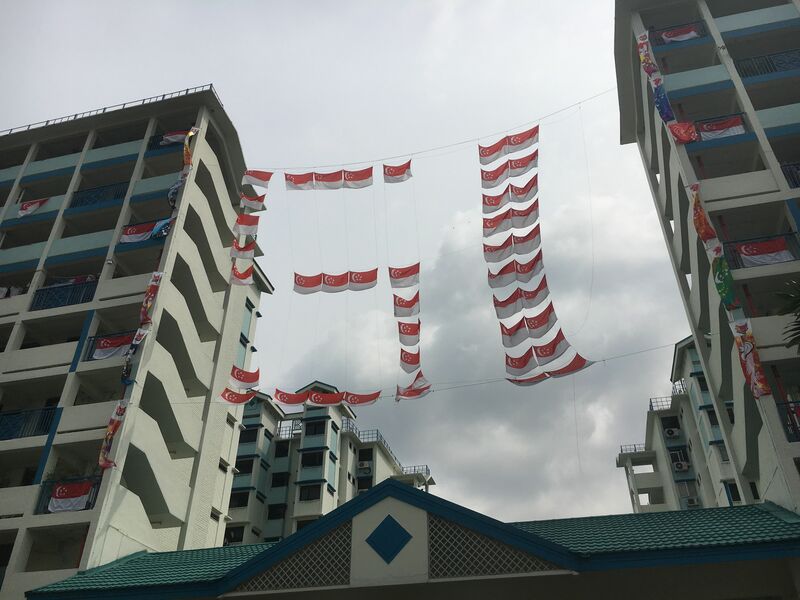 A Singapore flag hung outside a window has become a common sight this time of year, but there's nothing ordinary about the display at these HDB blocks at Lorong 1 Toa Payoh. Strung between blocks 107 and 109 are flags making up the number 51, an unmissable sight as it looms large over a busy intersection.